My reflection is fuzzy, but what's up ahead is clearly promising. It is customary for us bloggers to write a year-end article, announcing our top ten “whatevers” for the year just ending. I’ve read some good ones written by smarter and more aware people than me. I would point you particularly to the series at Hack Education, written by Audry Waters – who is a true ears to the ground educator/journalist. Me? 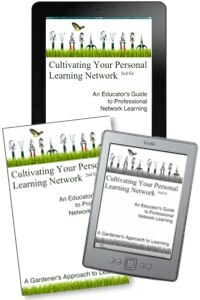 Well I just haven’t been paying that much attention, applying myself more to specific production projects, including, but not limited to the 2nd edition of Cultivating Your Personal Learning Network (print | Kindle | iPad). Teaching myself to create an interactive iBook has been one of the most authentically enlightening educational experiences I’ve had in a very long time. At any rate, at this point in my so-called career, I’m not apologizing for spending my time doing what I feel like doing. So, being less than qualified to list the top ten of anything for 2012, (did I mention this, or this, or this? ), I’m going to come at it from a different angle. Here are my hopes and wishes for 2013! I hope that we come up with a better target phrase than, “preparing our children for the 21st century.” It’s so 20th century, and we have, after all, got more than a tenth of the new century behind us. I hope that we can articulate a clearer distinction between personalized learning and differentiated (individualized) instruction. To often, when I hear people discussing personalized learning, they are actually talking about instruction. One is about becoming and the other is about being done to. I wish that we would really start using our hands more, that this whole maker subculture, some how, starts to become an integral and defining part of the culture of schools. Let’s replace our 30 pounds of textbooks with a tablet computer and a kit of personal hand tools. I hope that we learn to bring fun back into learning, by recognizing the learning that happens when we’re having fun. I wish that the institution of education would stop taking itself so seriously. Our efforts to make ourselves more important by introducing complexity into the process just makes teaching less enjoyable — and it irritates the customers. I hope that we get digital content right and not simply convert it to digital. I wish that we could stop using the term “textbook” and find something less suggestive of a teaching object. What would you call a learning object? I fervently hope that we find a way to redefine and assess mastery, not by counting right answers, but by observing what students can accomplish by using good answers. I wish that schools of education could stop preparing prospective teachers for a 30-year career by simply readying them for a typical classroom of today. We need teachers who are ready to adapt and adopt almost any opportunity that arises, willing and able to retool their classrooms every day. The best we can do is to prepare prospective educators for the first five years of their career (at best) and assure that they are skilled in persistent and self-directed professional development. I wish that we might begin to see that the mission of education should not be our assurance that every student successfully learns the same things. It should be our assistance in helping every student discover and become the best person that he or she can be. Here’s to an enlightened new year! While it isn’t entirely explained in the video, I’m all for this kind of stuff. Basic little tricks like this that might not be all that useful to us now, but could be very important when simplifying our lives in the future. 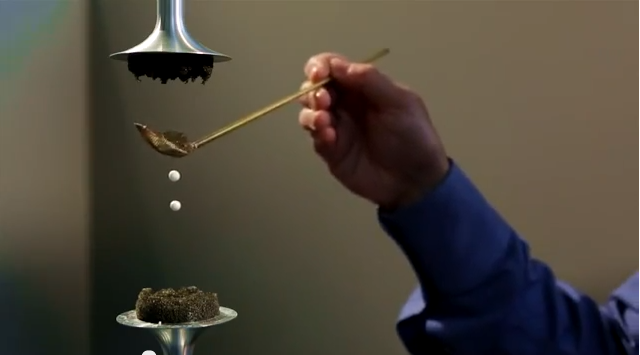 If we can use sound to make liquid float, then there’s plenty more we can do as well. Here is a very well-made presentation on the makeup of what we call “cancer”. We all know how we feel when we hear the word, but many of us don’t actually understand how broad that term is. 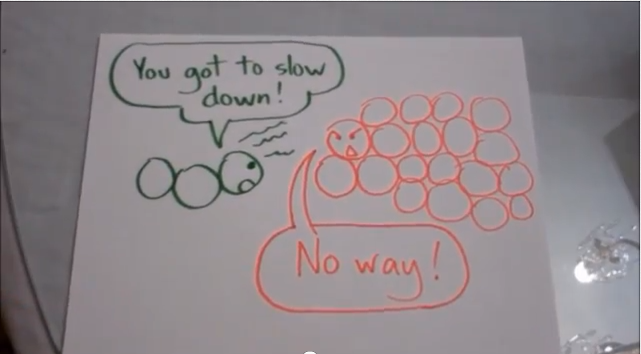 This video does a great job of explaining what exactly falls under the category of cancer and uses some possibly unfittingly cutesy imagery to do so. Definitely gets the point across well. It is with great pleasure and no small amount of relief, that I announce the second edition of Cultivating Your Personal Learning Network: A Gardener’s Approach to Learning – formerly known as A Gardener’s approach to Learning: Cultivating at our Personal Learning Network. Switching the title and subtitle was the idea of my wife and business manager, Brenda. She’d long felt that “A Gardener’s Approach..” did not clearly describe the content and function of the book. This second edition started innocently enough when, with an afternoon to kill, I downloaded Apples iBooks Author (iBA) software, a free download that helps us create interactive iBooks for publishing through the iBooks book store and iTunes. Since it was my latest book, I dumped the text of Gardener’s Approach.. into iBA and started playing. My initial reaction was not that different from what I initially though if iBooks. They glow and flow, but provide little opportunity for the reader to talk back, which I believe should be a core goal for the next generation of learning content. The iBooks I’d seen were still primarily intended for top-down reader-passive content consumption. However, when I started factoring in the great fun I’ve had with Apple Keynote’s dazzling animation capabilities and the ability to insert keynotes into the iBook, I continued to play, adding animated tutorials for some parts of the book. It seems that what iBook Author means by HTML is actually Dashboard Widgets, which are small programs that can be downloaded and installed on your Macintosh computer and run in the background – and now in the widgets space on later versions of Mac’s OS. They have come in nearly every category of software, but are usually utilities such as calculators, calendars and clocks. I saw no use for any of these utilities in my book, so I set out researching and teaching myself how to write my own dashboard widgets. As I played (which is what learning often feels like to me), ideas started forming for interfacing my iBook with the web and specifically with web pages that would give readers the ability to add and comment on their own stories of networked learning. It was at that point that I was hooked. Of course, reading through the book, I learned how dreadfully out-of-date it was, so I started editing and rewriting major portions of CYPLN and adding at least one chapter. After all, the first edition was written before the Apple iPad launched. So, after many edits and re-edits, with the tireless assistance of Brenda, and the launch of Bookry, which provides a tool for creating much slicker widgets than I was writing, I’ve published Cultivating Your Personal Learning Network 2nd Ed, in print, ebook (for Kindle), and iBook (with color, motion, and conversation). The most interesting part of this endeavor was the act of using many of the skills and techniques described in the book in order to learn how to publish it in these new formats and with these new features. My own PLN grew. I hurriedly produced the video below as an introduction to some of the features of the iBooks version. The print and ebook versions, like the first edition of CYPLN, feature QR-Codes, which give the reader access to many of the features of the iBook – without the flair. One concept that jelled for me during the proces was that of scale. Because the ebook and iBook versions of CYPLN was digital, weightless and so easily distributed, I’ve decided to price for scale. So the iBook and ebook (Kindle) versions are only $2.99 (USD). Since the print version (259 pages) must be produced and shipped, I have to charge a little more, $8.99, which gives me a profit similar to that of the digital books.